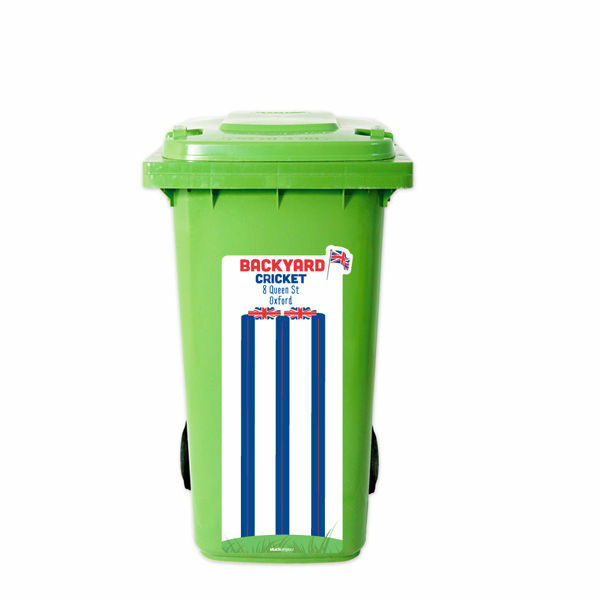 Personalise with your street address! 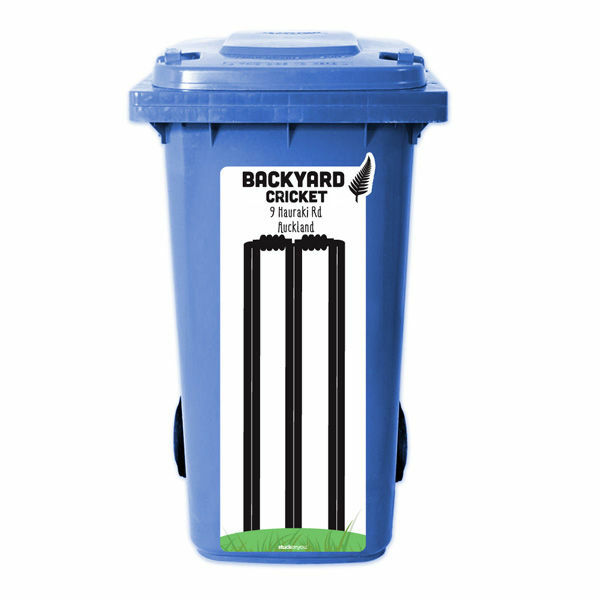 What’s summer without a bit of backyard cricket? 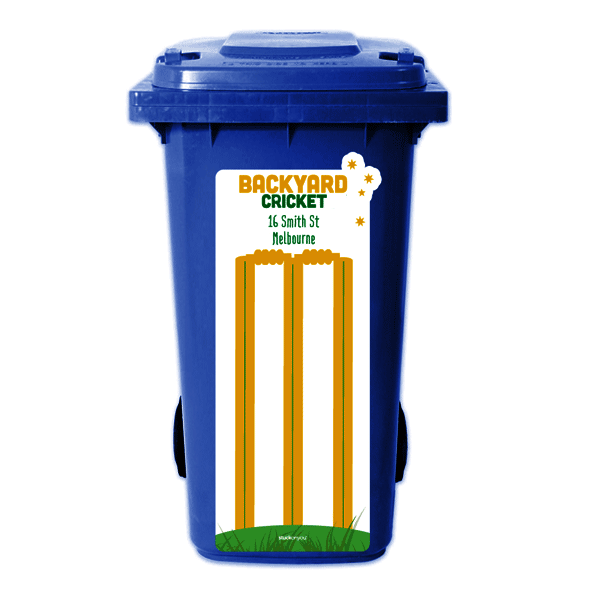 These Cricket Stump Stickers are Cricket Australia regulation height and provide the perfect activity that can be enjoyed throughout the cricket season and beyond! 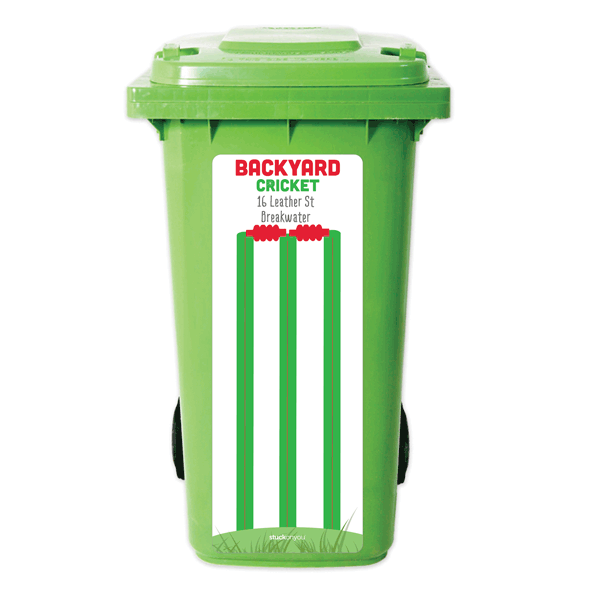 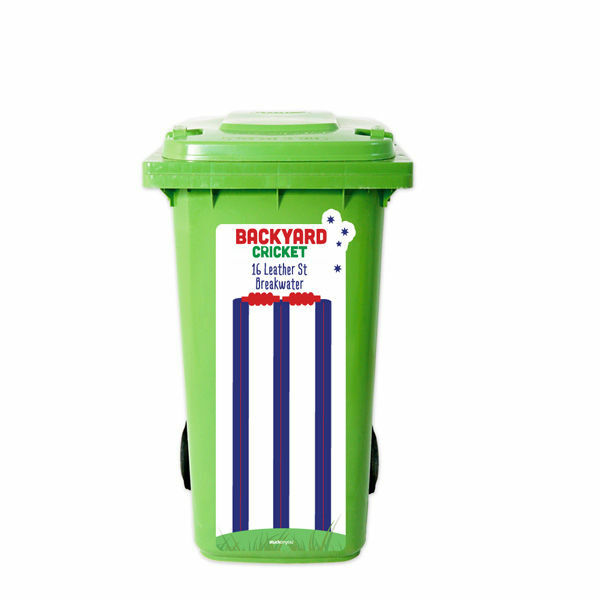 Simply apply to the side of your wheelie bin and it’s game on!